Now imagine this, you’re driving down the street. Your head’s heavy, maybe your boss just yelled at you, or the bills are pilling up, or you just had a really rough day. You’re out looking for something to take your mind off of things. Luckily, you just happen to look to your right and see the one thing you never knew you needed, and for free… Metal! 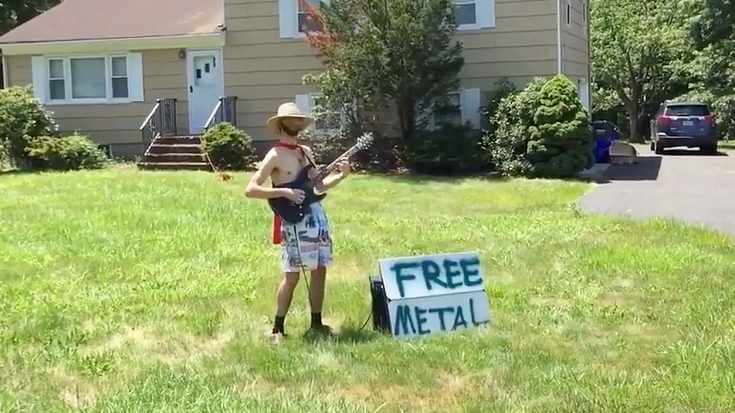 This guy here in this video is going viral for his wicked shredding abilities, and also for offering the one thing we all need in these troubling times, free metal! Needless to say, with an Internet that’s filled to the brim with politics, cat videos, recipe videos, and everything and between, this is the best change of pace that we can ever ask for. Once again, heavy metal has saved the day! Watch as this guy offers free metal and share this with a friend!